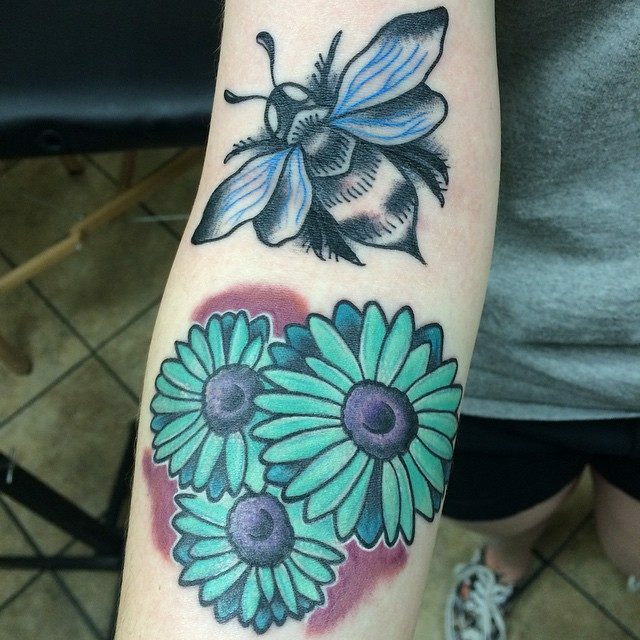 Daisy tattoos are absolutely worth considering body adornments. This will be a perfect flower tattoo statement that you can own and be unique than the other tattoo wearers. A lot of people these days are usually tattooing some other designs on their body like animals, Japanese and Chinese characters, and tribal tattoos. 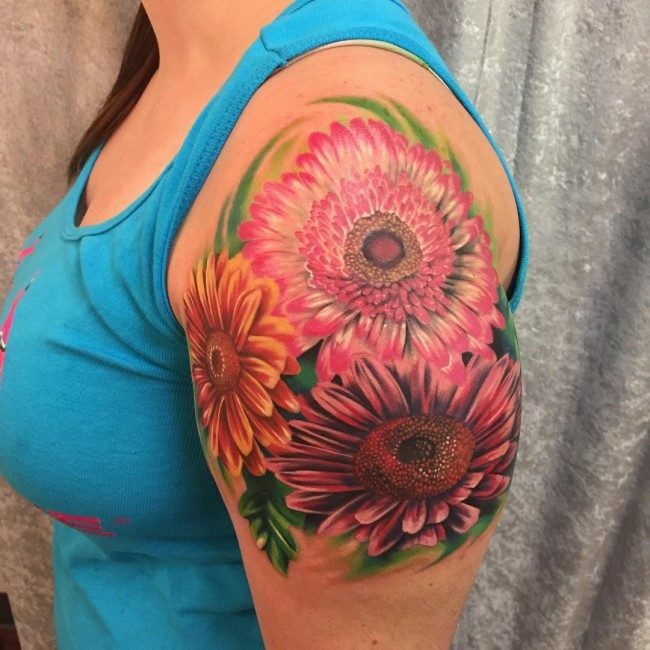 There is one thing they do not realize, and this is the fact that flower design tattoos like daisy are absolutely unique and gorgeous tattoos that they can have. Just like any other flower tattoos, daisy designed tattoos also have their deeper meanings and symbolism to offer to its wearers, aside from the incomparable beauty it can offer as a body adornment. Daisy is a very interesting flower that you should consider getting well acquainted with. It fully blooms during sunrise, and it closes its flowers when sunset comes. The name of this wild flower actually came from the words, “Days Eye”. Since the ancient years, daisies have already been linked to different religions in the world. According to Christianism, the daisy flower represents the baby Jesus Christ. This is the main reason why a daisy art has something to do with purity, peace, and innocence. During the medieval times, such flower was a great symbol of innocence. As a matter of fact, those innocent maidens during this particular era always carry daisy flowers with them, which symbolized their pureness and innocence. It was during the 1960’s when daisy art became extremely famous in the entire world. The very first thing that a daisy art represented was peace. In fact, a lot of children during that time had a daisy art on their body, and it simply implied that these children were peace lovers. 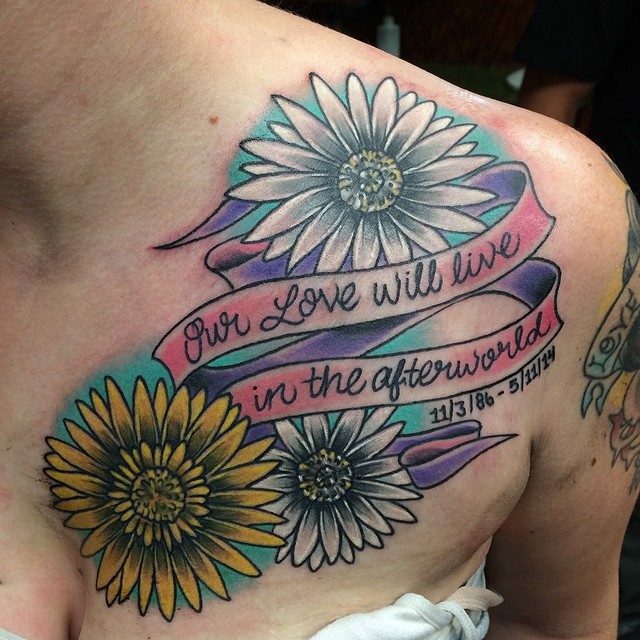 Daisy Art on Back – Your back is certainly a good body area where you can display your chosen design. Some people prefer having it on the lower back portion, while others choose to have it on the upper back portion. 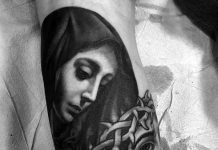 In case you will go for bigger size of tattoo design, then the back portion of your body would surely be more than a perfect place for tattooing. 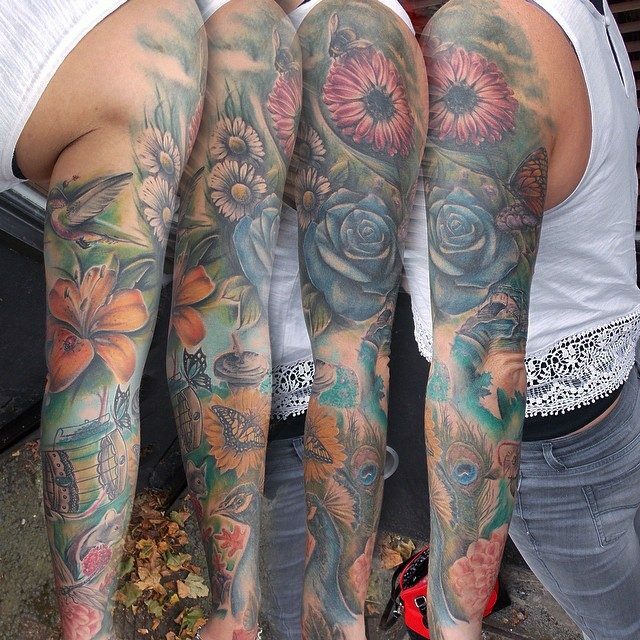 Daisy Art on Arms – Your arms will also be perfect, specially if you will choose the bouquet and vines daisy art design. Since the vines need more longer space, arms would definitely do. The vines can be scattered well because your arms are long. With this, there is no way you cannot achieve the beauty of this daisy art. 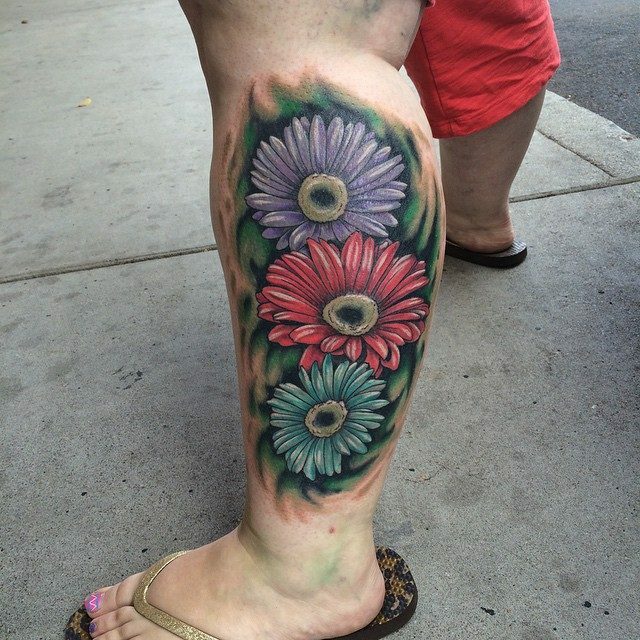 Daisy Art on Thigh – If you do not want to expose your daisy art to a lot of people, then placing it on your thigh might be the best thing that you can do. You can just display it when you are already full naked. With this, your special someone might be the only one who can see it. Daisy Art on Stomach – Many people also choose to have their daisy art engraved on their stomach. This can surely enhance your sexiness appeal. Hence, if you want to have a daisy inked in order to attract the opposite sexes, then placing it on your stomach would be great. 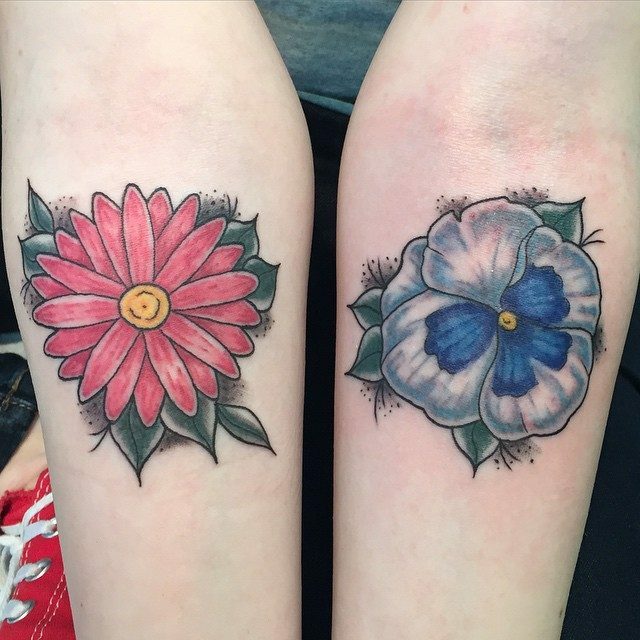 When we talk about tattoo art, floral designs have been the eternal favorites. 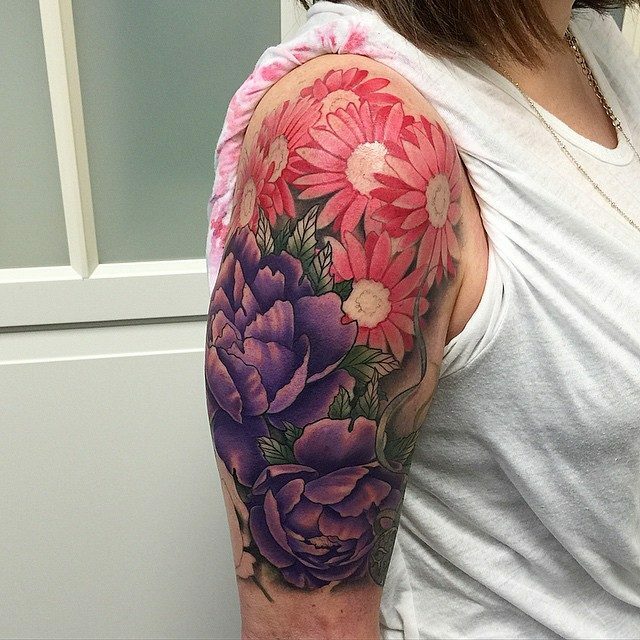 Though rose, lotus, sunflower and cherry blossoms are the most commonly used flowers in tattoo art, they are regarded as show stoppers too. Women loves daisy art because they have a lot to offer, both in terms of aesthetic beauty as well as symbolic meaning, as in all other floral patterns. Flowers have been the symbol of beauty and purity and daisy is no exception to the rule. 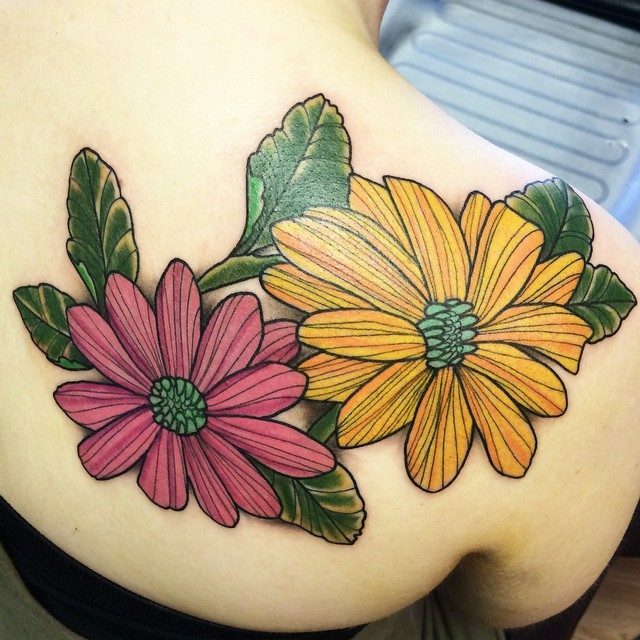 As such there is an alluring quality about these pretty flowers, which along with their symbolic meaning, make daisy art one of the top choices for women who look for eye catching tattoos for adorning their body. Tribal Tattoo Designs – A tribal daisy art is quite different from the colorful ones, because it is based on the bold tribal designs created out of black lines and curves. 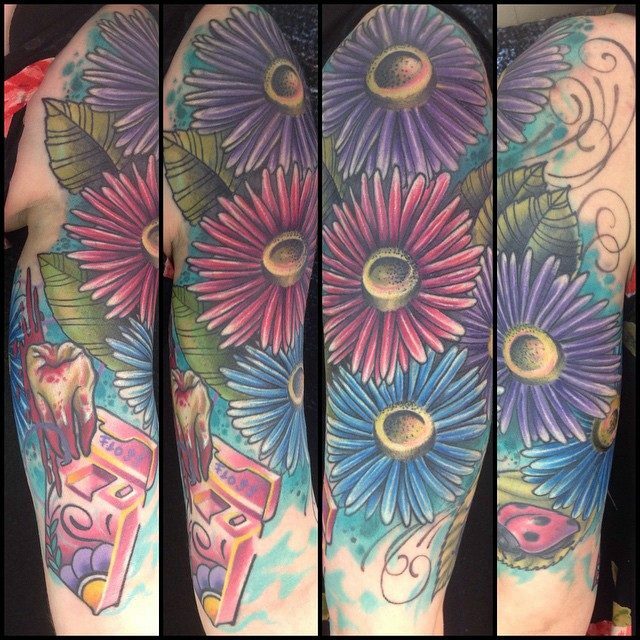 At the same time, it may include a bold tribal band lined with colored and pretty looking flowers, making the look absolutely unique and unexpected. Smiley Tattoo – Smiley daisy art makes a perfect option for those who want to so a playful experiment with these pretty looking flowers. 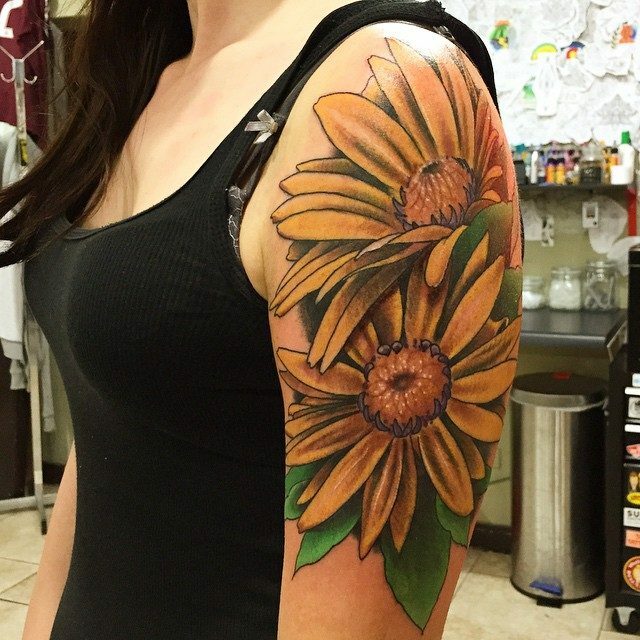 The tattoo artist can create a unique effect by inking a bright yellow daisy with a happy smile in its center. Such a tattoo is sure to bring a smile on the face of the bearer as well as anyone who sees it, and bring positivity and brightness in their lives. Religious Tattoos – A religious symbol such as a Cross can be circled with a wreath of daisies to create a religious daisy art. 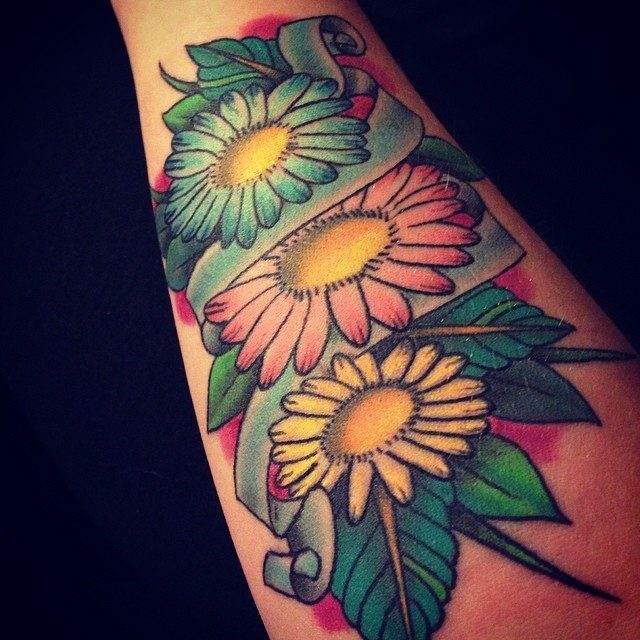 It also enhances the meaning of the religious tattoo because daisies are closely related to Christianity. 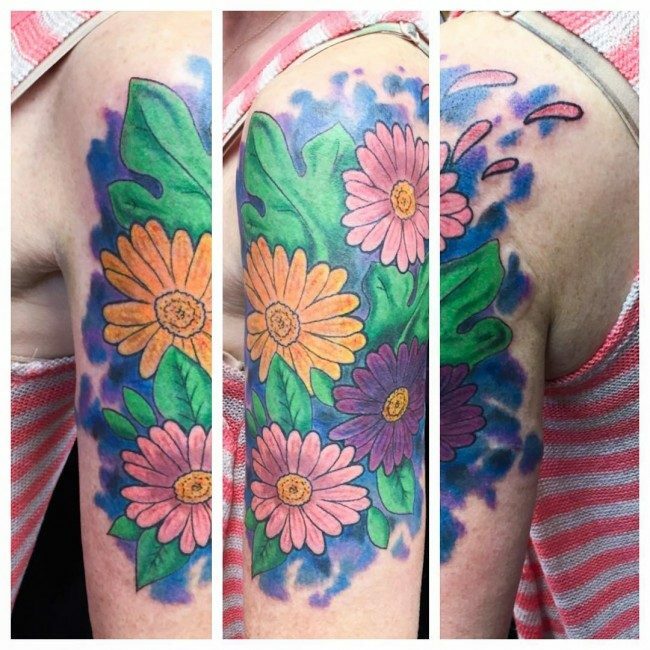 Vines and Bouquet Tattoos – Instead of inking a single daisy flower, the tattoo artist can create an innovative impact by trying out vines or bouquets of vibrantly colored daisy flowers, which are definitely going to catch attention of just anyone. Some other elements such as bees, butterflies, dragonflies, trees and leaves can also be added to daisy art to create some beautiful designs. The bearer can also choose a text like a name, initials, date or a quote to be included in the tattoo design, adding a new meaning to the tattoo. 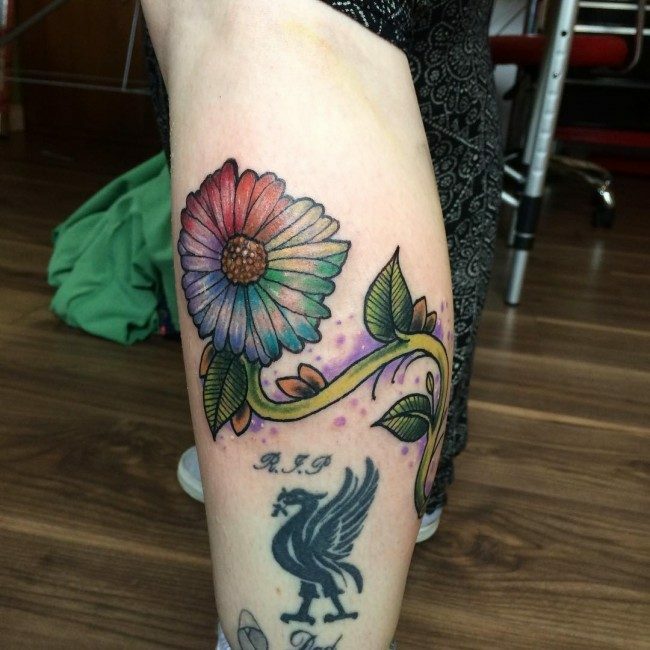 When you decide to opt a daisy art to be inked on your body, you need to rely on an expert tattoo artist who has plenty of experiencing in experimenting with colors and designs. 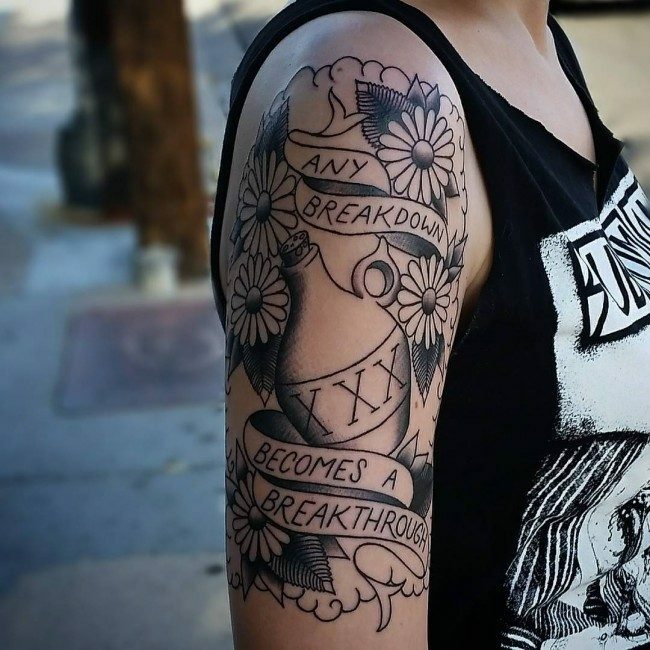 The size of the tattoo design is also a key factor for determining its placement, the most popular places for having it inked being the shoulder, wrists, ankles, lower back, thighs, ribs, forearm, elbow, hip, collar bone, hands, foot, stomach, legs, sleeves, calf and back of the neck. The name of these flowers is derived from the phrase “days eye”, which is based on the fact that this beautiful flower opens itself as the sun rises in the beginning of the day and the petals close down at the time of sunset. Symbolically, this beautiful flower stands for purity, innocence, religion and peace. It has its religious significance in Christianity because it was revered as the symbol of baby Jesus, as it stood for innocence and purity. The flower was also linked with a number of religious symbols of Christianity, which made it even more important part of this religion. In medieval period, the maidens with daisy bouquets were considered to be pure and innocent. In ancient Roman mythology, a story regarding a nymph has been narrated, telling that she converted herself into this lovely flower so that the orchard god Vertumnus could not cast an evil eye over her. Symbolically, daisies are associated with a number of meanings such as purity, innocence, beauty, good luck, peace, love, serenity, gentleness, patience, happiness, femininity, youth and vanity. It is up to the bearer to interpret the tattoo in whichever way she wants to, as the tattoos are common for women because of their feminine quality. The meaning of a daisy can vary depending upon the color choice too, with each color giving it a distinct meaning. While white daisies depict innocence, red ones stand for youth and boldness. On the other hand, yellow daisies stand for cheerfulness and intelligence, and blue colored daises show emotions. Some other colors that daisies may be pictured in are pink, orange and purple. 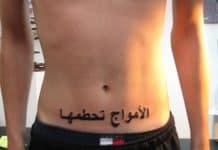 One can choose the color according to what one chooses to depict through the tattoo. Smiley Tattoo Design – Being playful with daisy design tattoo is certainly great, as long as you want it that way. 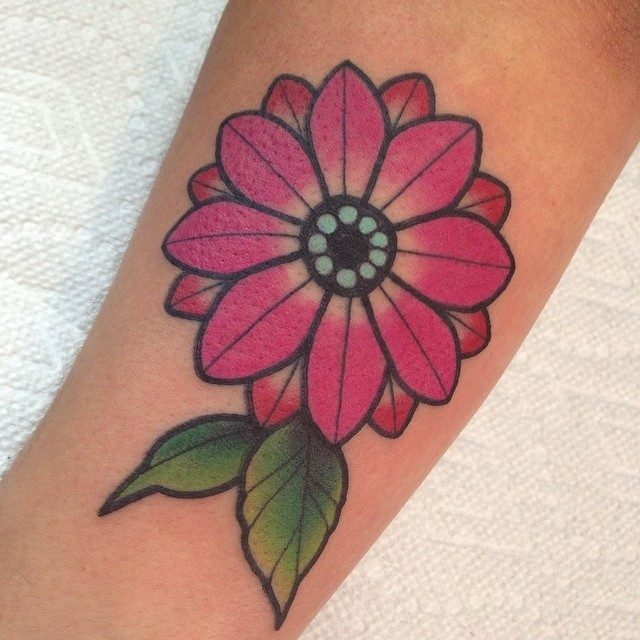 Together with your hired professional tattoo artist, you can create a very unique smiley daisy flower tattoo design that can match your playful personality. A simple happy smile image at the center of the daisy flower is enough to achieve such design. Isn’t that cool to imagine? Tribal Tattoo Design – A tribal design is one of the most popular tattoo designs that you can ever have these days. But when it comes to tribal tattoo, things might be a little bit different. 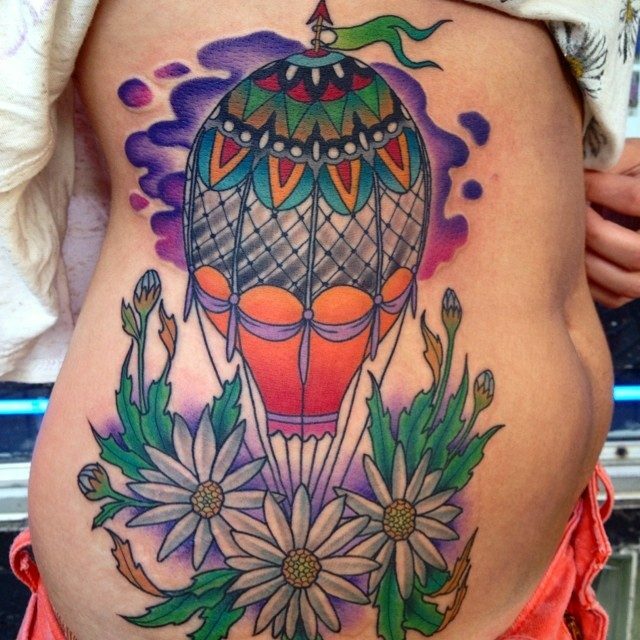 Only very few people may like it since it is far from the usual colorful daisy tattoos. It is simply because a normal tribal design would involve bold and black curves and lines. This is the only way to achieve the amazing beauty of a tribal design. Hence, you should not use very colorful colors in this design or else, you will lose the essence of a tribal daisy art design. Religious Daisy Design – As what being said, the daisy flower has been linked to several religions in the world. With that being said, you will never go off beat if you will try the religious daisy flower tattoo design. 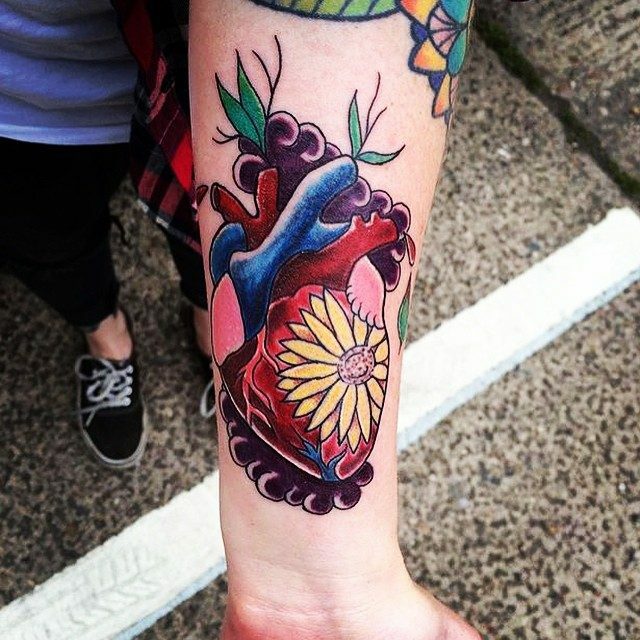 It is very simple to do as long as you have your reliable professional tattoo artist with you. You can go for a Cross image that is surrounded with several daisy flowers. You can even go for the image of Jesus Christ beautifully ornamented with gorgeous daisy petals. It is actually all up to you what to choose. Just make sure that you love it and it perfectly matches the things that you want to express. Bouquet and Vines Tattoo Design – In case you simply want to have daisy art that can make you the center of attraction, then you should pick the bouquet and vines daisy design. 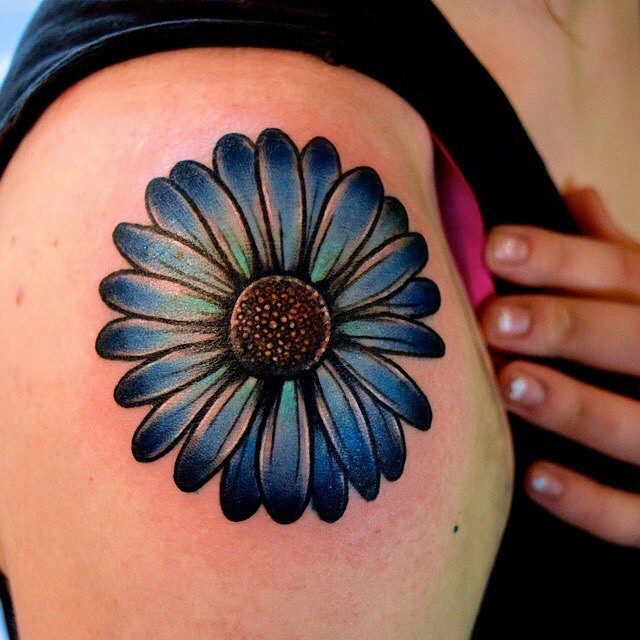 You can achieve the amazing beauty of this daisy art tattoo if you will allow your tattoo artist to design not only one daisy flower but as many as the design requires. 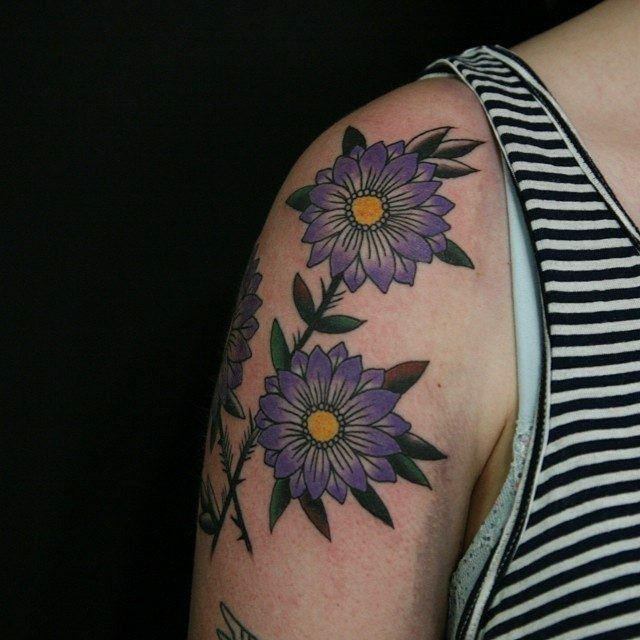 Each daisy flower can be linked with the vines, making the entire tattoo design even more interesting. 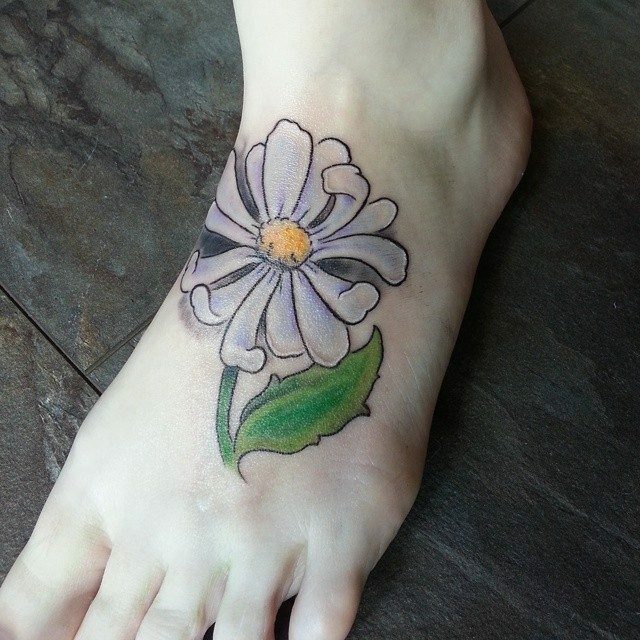 Just like any other flower tattoos, daisy tattoos are equally gorgeous to see on someone’s body. You just need to know the right design that suits you. Moreover, you need to decide where you must place your daisy art, depending on your purpose of having it.